Medium Sized Family - Helping you build your savings, even when life is frustrating. After a lot of neglect, learning how to organize finances seems intimidating. But these 3 simple steps make it easy! First there was the stack of mail you forgot about. So you missed a bill or two. Then the late fees began to pile up. Suddenly, everything seemed to snowball. How did a few blunders lead to this feeling of drowning? Well… why worry about something that is out of your control? You gave up trying to keep up with finances. Except that you do worry. Your money nightmare keeps you tossing and turning on your pillow. And the not knowing what’s going to happen next is the worst. Whether you consider yourself a master of the frugal lifestyle or you want to learn what it’s all about, having a bag of frugal living tips is always a great idea. Here’s a list of ideas you’ll want to try today! If reusing baggies and making things from scratch is your jam, you might live a frugal life. You probably enjoy reading about frugal living tips, and you’re always looking for new ways to save money! And those people that snub their noses at frugal people? Well, they might not always feel that way. The thing is, even people who can’t stand the thought of being “too frugal” can change. If you grew with super frugal parents, you might go through a rebellion stage. After a lifetime of feeling restricted (because you don’t understand the “why” behind frugal living), you reach an age where you can buy those things you’ve always wanted. Well, that lifestyle is great…until you get hit with hard times. Or you finally face that mountain of debt that your rebellion built. 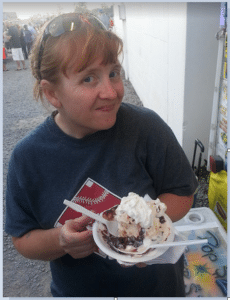 But let me tell you a secret…there’s more to frugal living than deprivation. Your mindset can make all the difference! Being frugal isn’t about buying the cheapest version of everything. True, frugal people hate to spend money unnecessarily. They never want to spend money on items that don’t last nearly as long as they should. But that doesn’t mean they live a miserly existence! In fact, embracing this lifestyle can help you to have more money for the things that are most important to you. Isn’t that better than worrying constantly about having an empty bank account? When it comes to Valentine’s Day, you can’t forget your favorite munchkins! Show your love with these adorable Valentine Gifts for kids…sure to get a smile! It was a quiet, cold February 13th evening a few years ago. The kids were snoozing, and I was up contemplating, as usual, whether I had done enough to make the holiday special for them. I already had a small box of $1 chocolates for each of them. Now I’m not the type of Mom who believes that every event needs to be over the top. Celebrating in simple ways works out best for my family. The more you give to kids, the less they appreciate what they have. It overwhelms their little systems. Have you overlooked this simple way to save money on groceries? I scraped the remains of yet another failed recipe into the trash. I’d been pretty excited about trying the new dish I’d found on Pinterest. It looked delicious! Although it did have a few odd ingredients. And the recipe didn’t end up being quite as simple as I’d expected. Turns out the family wasn’t into it. My experiment meant more time and money down the drain. I knew there had to be a better way to put together a meal plan. I was tired of planning elaborate meals to keep things interesting. I was even more tired of wasting money every week. Something had to change. Luckily, that “something” turned out to be a rather simple solution. Because I tend to get HUGE with each pregnancy (it’s hard to fit 10 pound kids into my 5’1″ frame), I knew I’d probably need a lot of different sizes. Who wants to spend a lot of money on big clothes? Especially ones you will only be able to wear for a couple of months? Ok, I did splurge on this one shirt! Luckily, I’d learned to get creative in my spending during our #yearsofno that lead us out of tens of thousands in credit card debt! 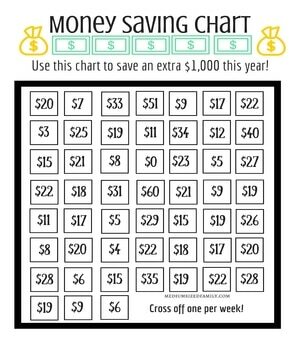 Flexing those money saving muscles is fun (once you’ve learned how to grow them)! Have you ever been to a Yankee Swap party? (You might call it a White Elephant exchange or Dirty Santa.) You show up with a gift and wind up with a random gift from someone else. There always seems to be one gift that is fought over. The gift that appeals to everyone. It’s fun to be the winner who brings home the coveted gift. But it’s also fun to be the one who brought the gift that’s sought after. 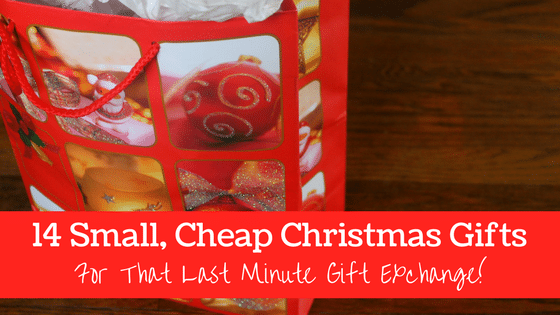 Truthfully, having a list of cheap gift ideas that appeal to a wide variety of people is handy for a lot of reasons. Teachers, coworkers, coaches, and whoever else you’d like to show appreciation to (without breaking the bank). Join the 30 day money challenge designed to be finished! By keeping this challenge fun and building accountability, we’ll kick your 2019 off to its best start. Best of all, it’s free! A couple of Januarys ago, my Hubby and I stared at a list of things we wanted to do with our lives. Changes we wanted to make to our home. Fun trips we wanted to take with our family. Dream dates we’d love to go on. And it was a shock to our plan when we realized that debt was keeping us from doing any of those things. You probably have dreams similar to ours. But something is holding you back. Whether it’s too many bills, not enough savings, or the weight of money mistakes you feel like you’ll never overcome…it can make you feel hopeless.